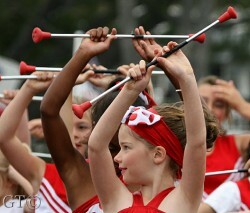 Sat June 5, 2010	Corona del Mar 5K http://www.cdmchamber.com/events/5k. “It’s a Small World, yes it is” . . . Now don’t you love that song—you can hum it all day long!!! Now that I have your attention—I would like to tell you how small it really is. Here is a letter I received at http://www.balboa-island.com recently. My name is Monica Garcia, I am writing you this letter because I recently found a long lost letter and thought I could share. I found this letter as I was going through old papers, at the time we received it my husband and I wanted to take pictures and respond to this gentleman, regretfully so, we did not. I told my husband I wanted to know if I could find information on this person on the internet, so tonight I was doing just that, I was only going on this man’s name and address since that is all I had to go by. Surprisingly I ran into your website and started reading about this man named Jim Jennings, still not knowing if this was the same man that sent us this letter. As I started reading the articles from Dec 2005 to October 2006 I realized it was the same man I was looking for, sadly I read, he had passed away. I was sure it was him because in one of the articles it mentions him going to St. Joe in Brownsville, Texas. What a small world we live in. I am impressed by the impact this man had on so many people. I was always intrigued because as you will see by the letter he sent us, he mentions his grandfather lived and DIED at this residence. Yes, we still till this day reside on 854 West Fronton, Brownsville, TX. This house amazes me on how long it’s been standing, yeah now it is old, and in need of a lot of renovations but standing it is. My husband and I always joke to each other and ask “do you think it’ll make it through this hurricane season?”. Surprisingly and with god’s blessing it has. I would like to know if by any chance you can pass this along to any of his family members, if they reside there. The letter Jim sent to Monica was in 1999 and he addressed it to “The Owner of the House” at 854 W. Fronton Street, Brownsville, Texas. 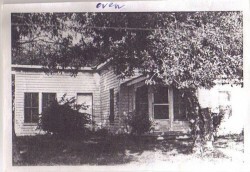 This was the house his grandfather James Scott Jennings lived and died in around 1936. “At age 71 I have been going through all my old pictures. I ran across this one and thought you might like to have a copy. My grandfather and grandmother owned and lived in this house for many years. My mother and father lived in the house two doors down. I spent many years in the house and have many fond memories of it. I hope it is still there and being enjoyed by you. I Wish Jim Jennings was still in it—we on Balboa Island miss him!!! Two residents of Balboa Island, affiliated with the non-profit organization Engineers Without Borders (EWB), are volunteering their time to improve the quality of life in Endana, Kenya. Endana is a rural community that lacks many of the conveniences often taken for granted in more developed nations, such as access to medical care and clean water. In an effort to improve the quality of life in Endana, the local EWB members are focused on the design and construction of a footbridge and improvements in the water and sanitation at the local secondary school. One Bedroom/One Bathroom Unfurnished Apartment. Microwave, Refrigerator, Plus Many Upgrades. Close to Ferry Landing and South Bayfront. 2 Bedroom/2 Bath—3 Story View. I continued my walk over to South Bayfront, and could not resist first stopping at the Balboa Berries - perched forever in the same spot - near ‘J.D.’s Tackle’!! Their huge red ripe strawberries practically leap out at you, the size of baseballs, and incredibly delicious! The stand attendant informed me that the strawberries are picked fresh, daily, at nearby Irvine farms. Purchase by the basket or the crate - take your choice. And for a touch of ultimate decadence, you HAVE to sample their hand-dipped chocolate covered variety. Open weekends until summer and then open every day! Andiamo Hair Salon had its first year Anniversary on April 1, 2010 in the new location at Jubilee Plaza. The shop is a much newer and brighter version of the one at the former location by the Balboa Island Bridge. But the same warm, friendly service is available. This happened April 15. I am going over to visit A.K. as usual on Thursday. Earlier a girl came into Rachel’s and tried to steal merchandise. A.K. being suspicious of the girl already, acting strangely, approached her single-handedly to open her backpack. When the girl refused and threatened to “mess her up”. The girl took off running down Marine Avenue. In the meantime the Post woman saw the ruckus, dropped her mail cart and joined in the chase, calling 911 on her cell phone at the same time. 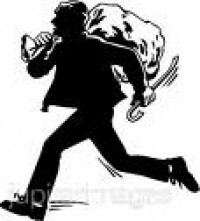 Other people also called for the police and our own soap-opera actor saw her and ran out of his yard and gave chase. The girl ran onto S. Bayfront and into a front yard where the three of them tackled her!! A.K. declined to press charges when the police arrived because she had recovered her merchandise. A.K. should watch out in the future though—this can be a dangerous maneuver as these people can be armed. May 14-17, 2010. There will be 1,776 3’ x 5’ US flags on 8’ poles at Castaways Park on Dover Drive and 16th Street . It will be a beautiful sight!!! 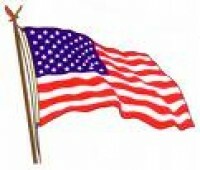 You can purchase a flag for $45.00 and dedicate it in the honor of a member of the military. What a great idea!! TRIVIA CONTEST . . . .
What was the name of the restaurant that used to be where Starbuck’s was? The first person to bring the answer to Island Flooring, 118 Agate Avenue wins a FREE Balboa Bar from Dad’s. Last month we had two winners within minutes of each other—and lots of other correct answers. . . Amelia’s used to be Cape Cod House. Congratulations to Bob Payne and Marilyn Richardson—Marilyn told me they used to have $1.00 Fish Dinners at Cape Cod House!! DON’T FORGET TO SIGN UP FOR A POST OFFICE BOX—Our Little Post Office got a one year reprieve to improve it’s revenue or it will be gone—and Jeff says the best way to do that is by renting PO Boxes!!! Come and See the Newly Reconfigured Island Flooring Showroom—More Samples—More Space to Show them In. REWARD—Anyone with an Island Flooring Yard Sign—we have lost a lot of signs over the years and have 2 left!!! We will pick it up! !